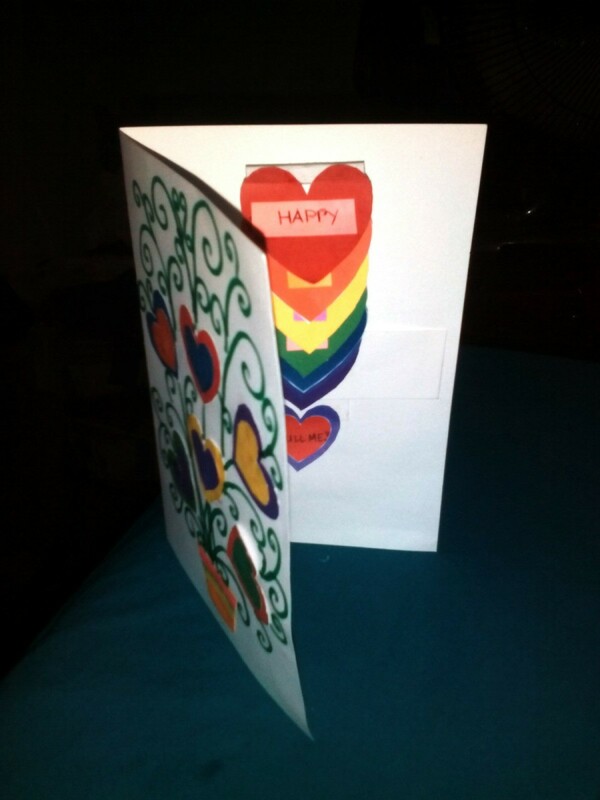 This simple looking greeting card has a loving surprise inside. 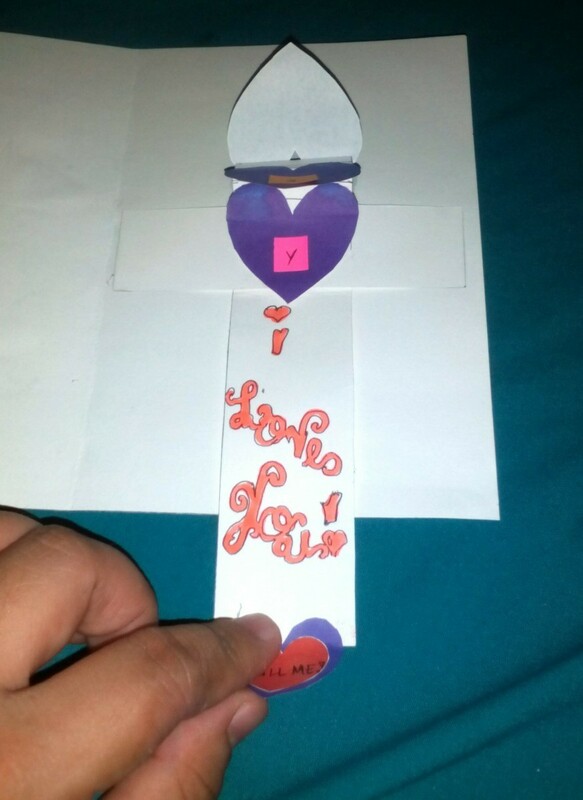 A great project for children to give to their mother or grandmother. 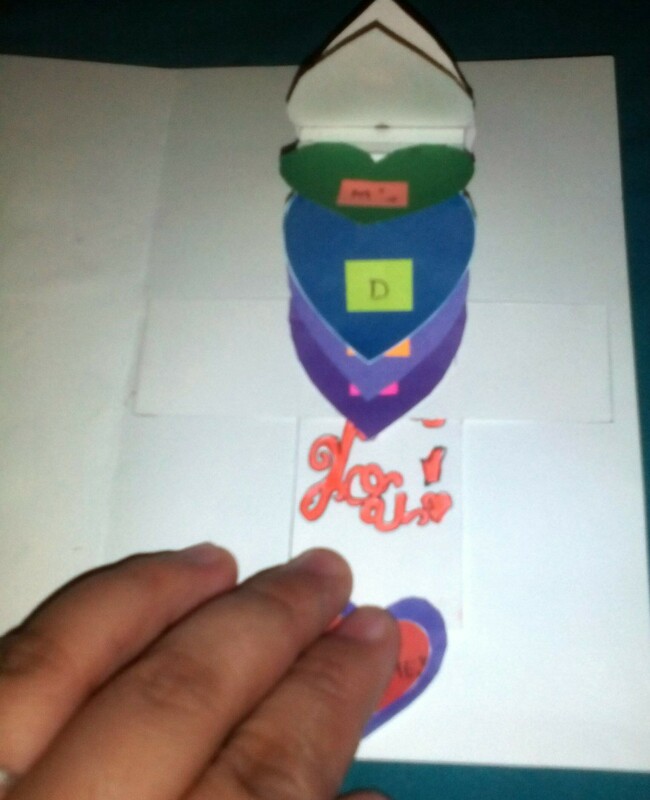 This guide has instructions for making a Mother's Day surprise greeting card. I had seen this on the internet long ago. I don't have the exact details and materials to be used, but I made my own version based on what I could recall. 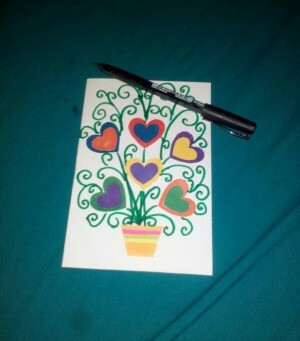 I find this project amazing and best used for the upcoming Mother's Day and my mom's birthday celebration as well. 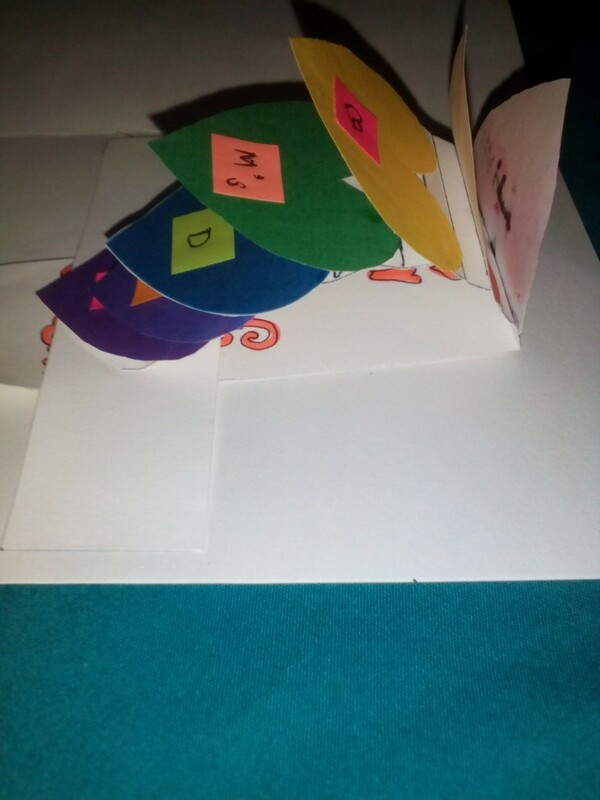 It is just like a simple kid's school activity and you could share or make it with them as part of their fun craft activity. Besides, little ones sometimes have better ideas. 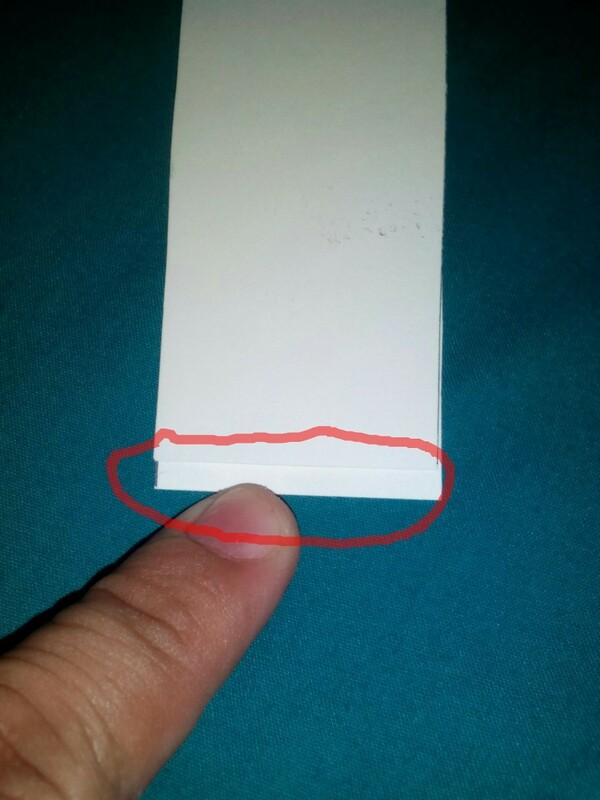 Get the long paper strip (4cm x 19cm). 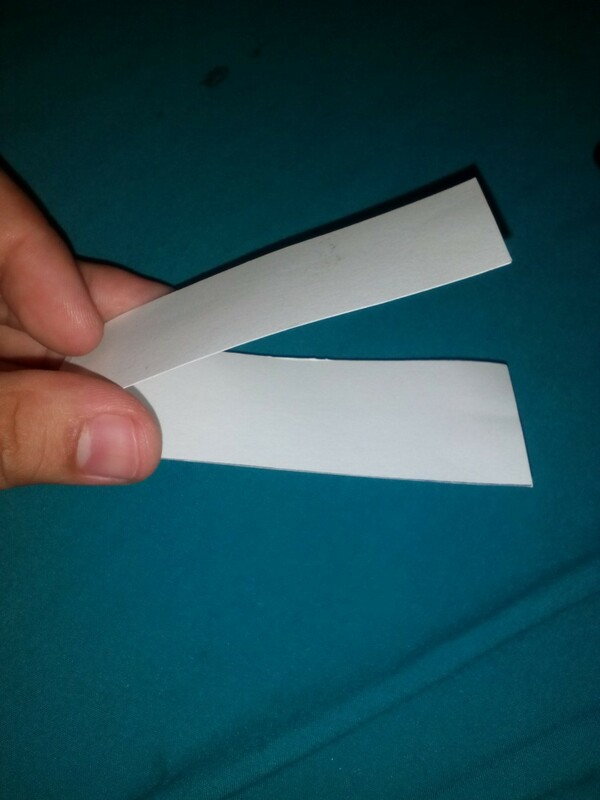 Fold the strip leaving a small allowance on the tip, making one side shorter than the other. 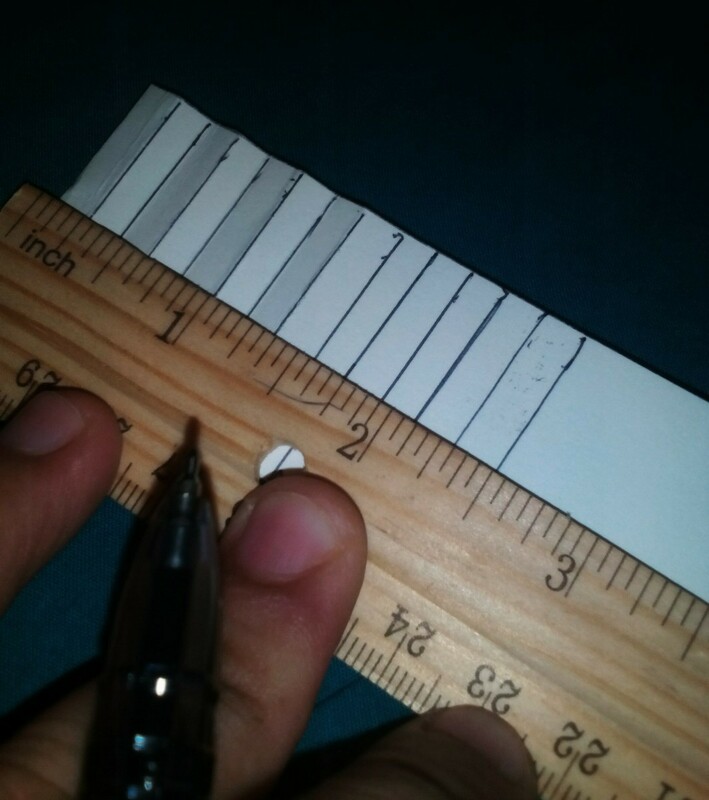 Draw lines on the short side of the strip with .5cm spacing. 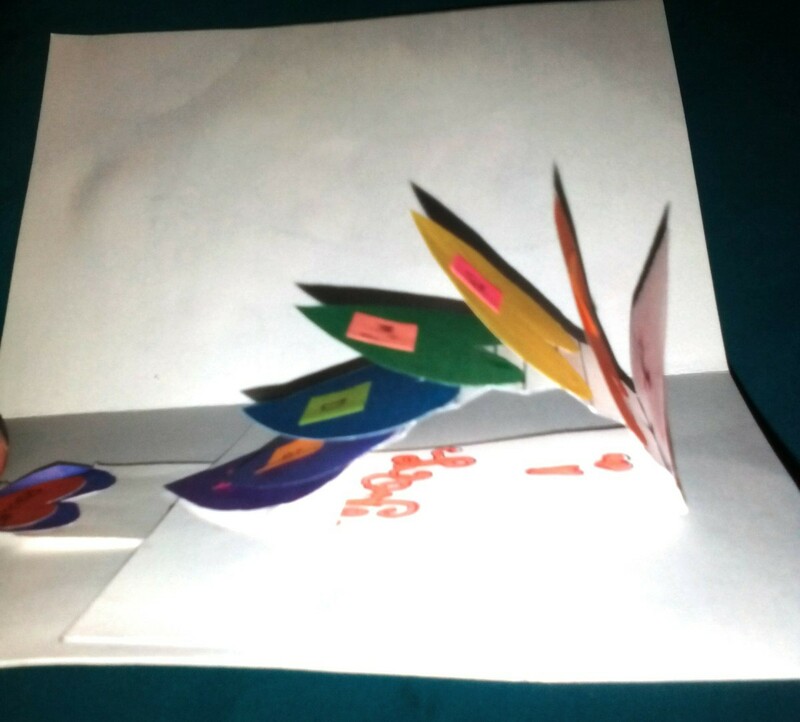 In my project, I have seven colors so I drew 13 lines beginning from the fold. 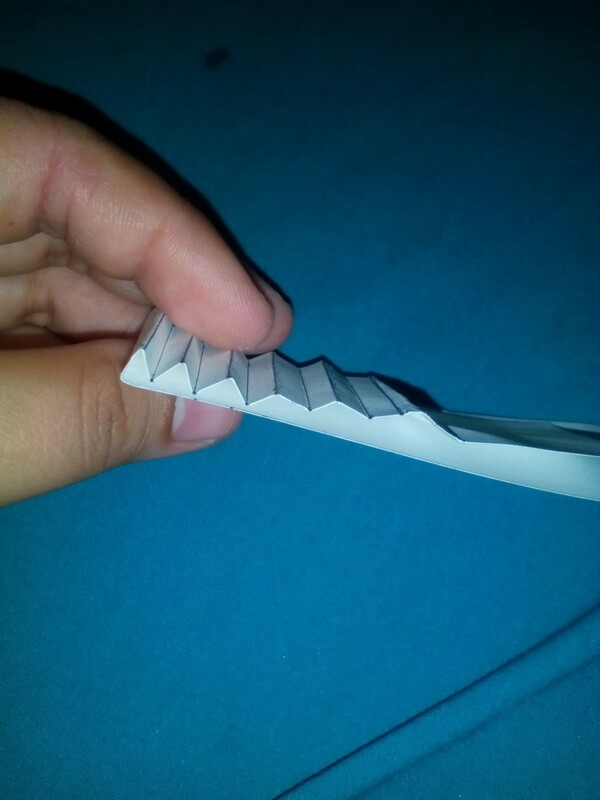 Fold the paper, following the lines, in alternate directions so it look likes this. 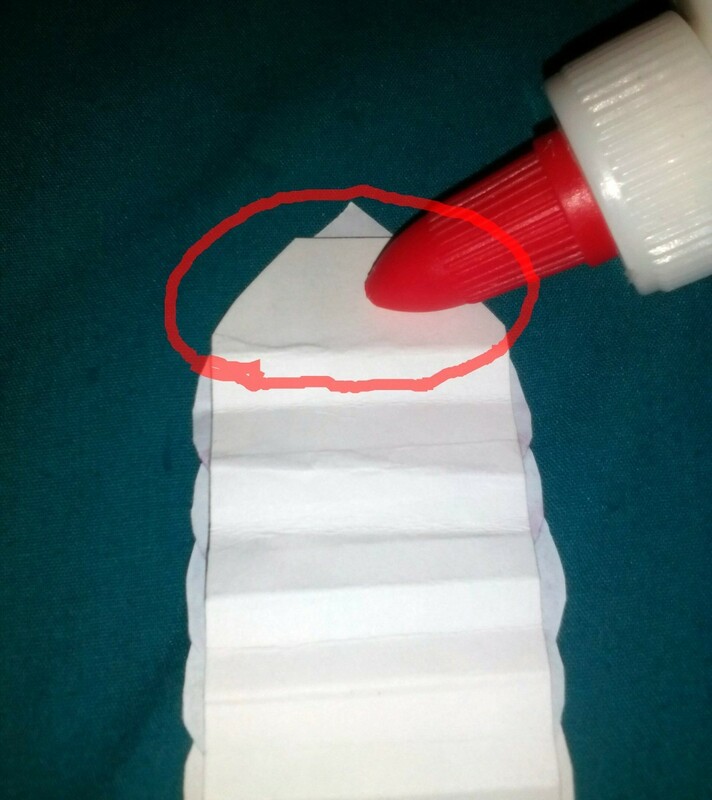 Now put glue on the upper tip (only) at the back of your heart shapes. 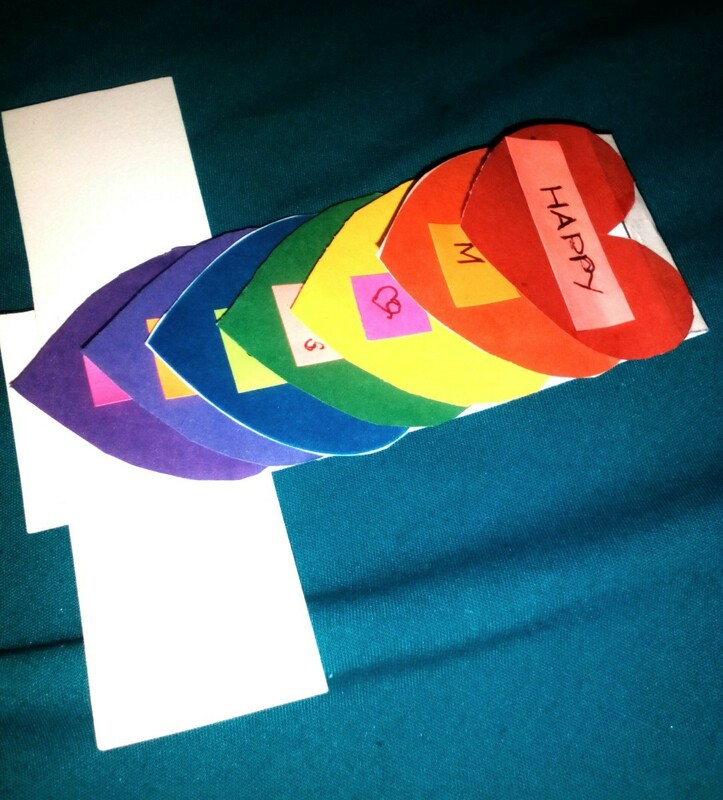 Stick them onto each of the lines with one space in between each heart. 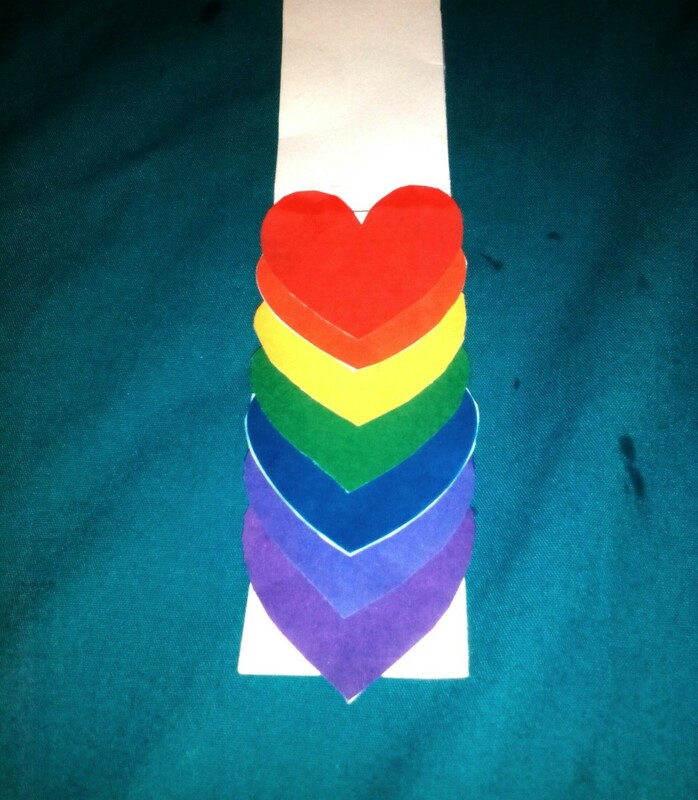 It will look like layers of hearts in different colors. 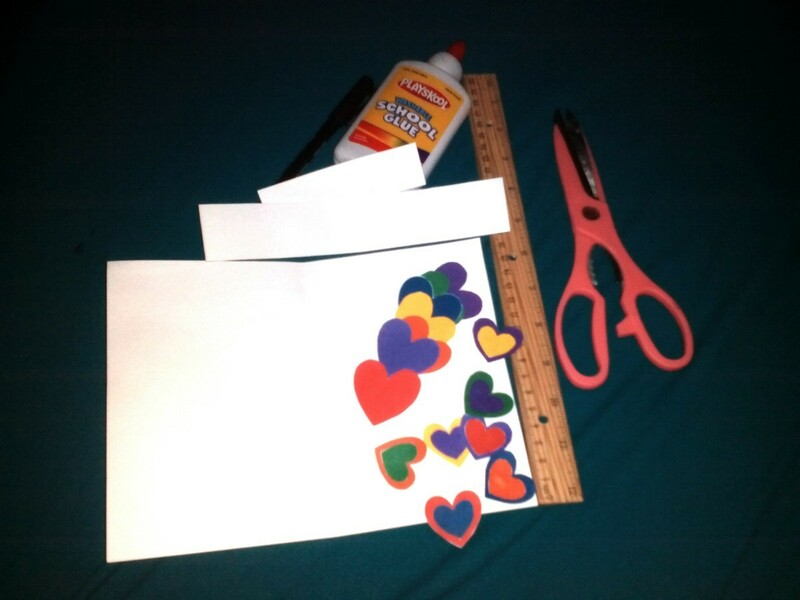 Flip and glue the tip of the paper strip at the back of the last heart. 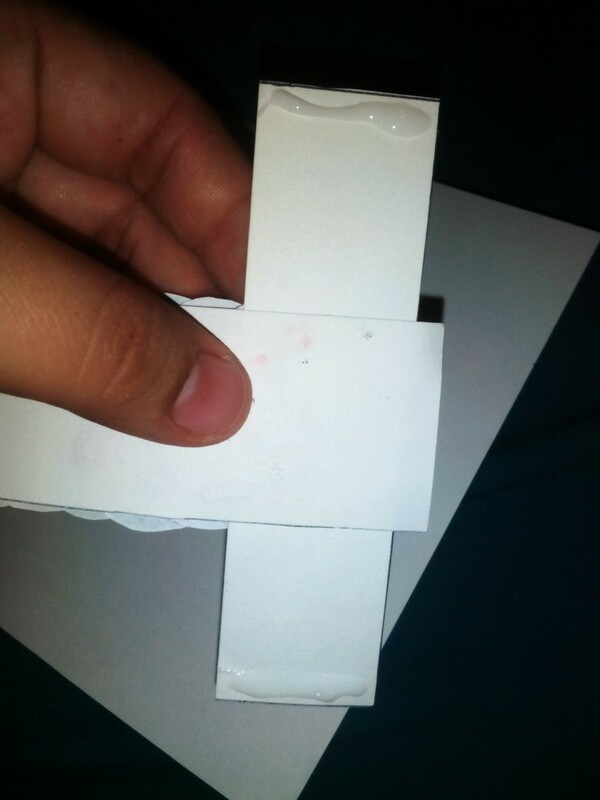 Stick it onto the center of the small (4cm x 10cm) strip which is positioned horizontally. So it should look like this. 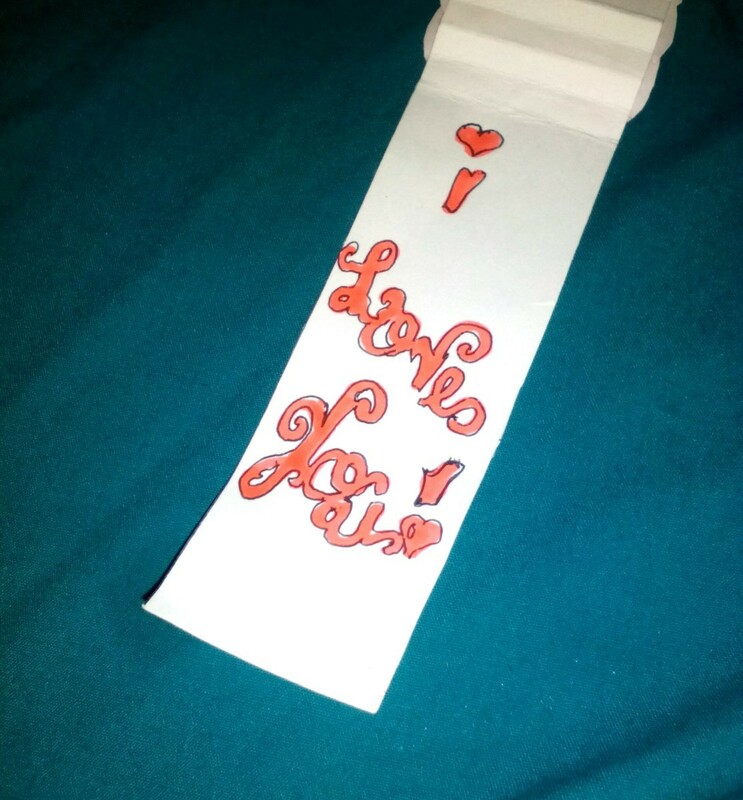 Flip the long strip open and write your message inside. 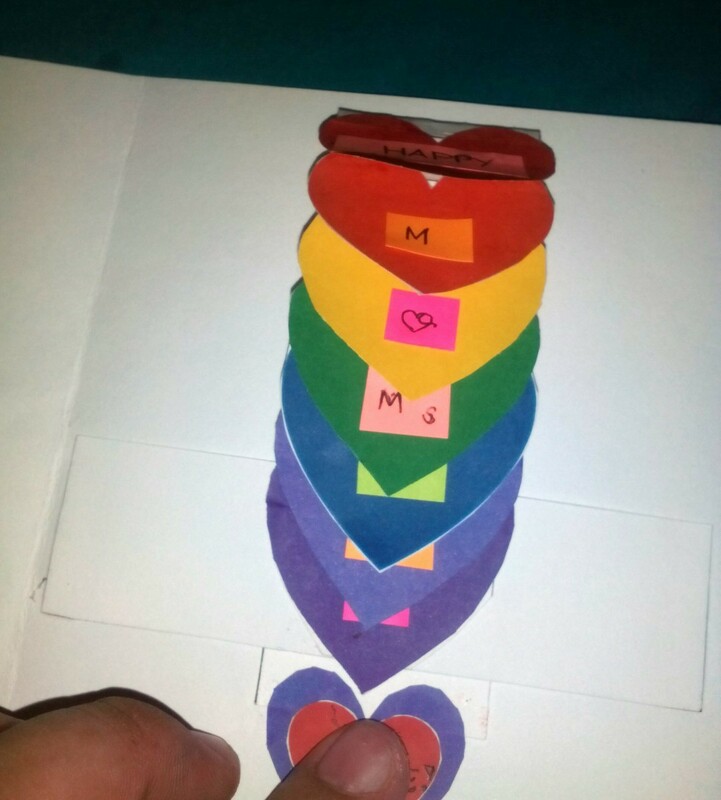 Put some glue on the sides of the smaller strip and stick it onto the center of the card. 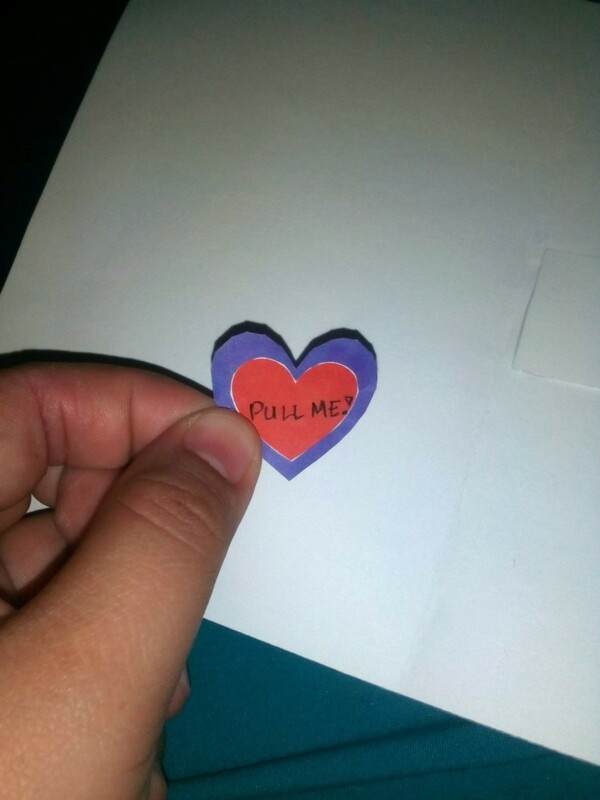 You can write your message on the layer of hearts or leave it blank. Slowly pull down the tiny heart to reveal the hidden message and at the same time see the effect of the heart layers. 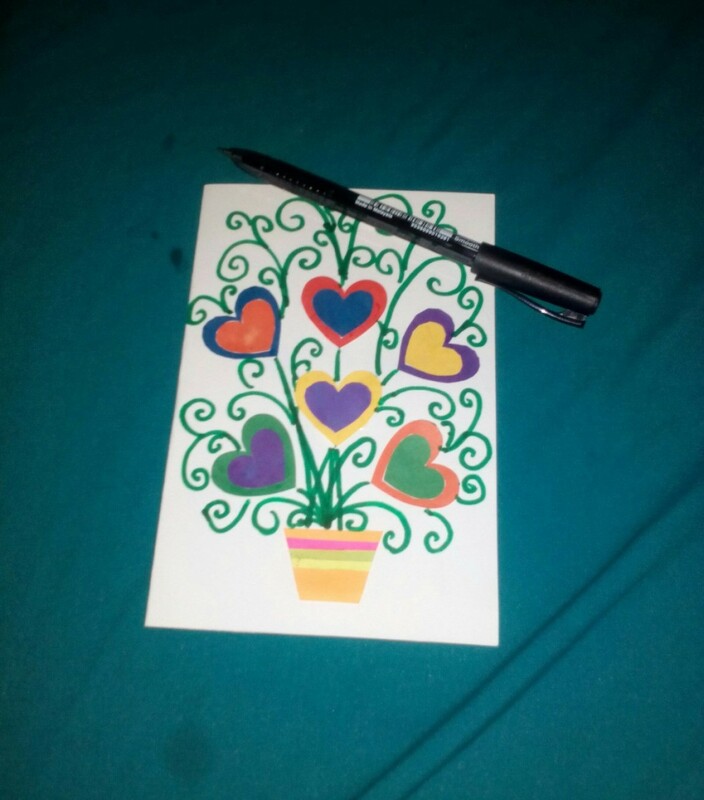 Decorate the front cover of your card using markers and tiny hearts. Done! 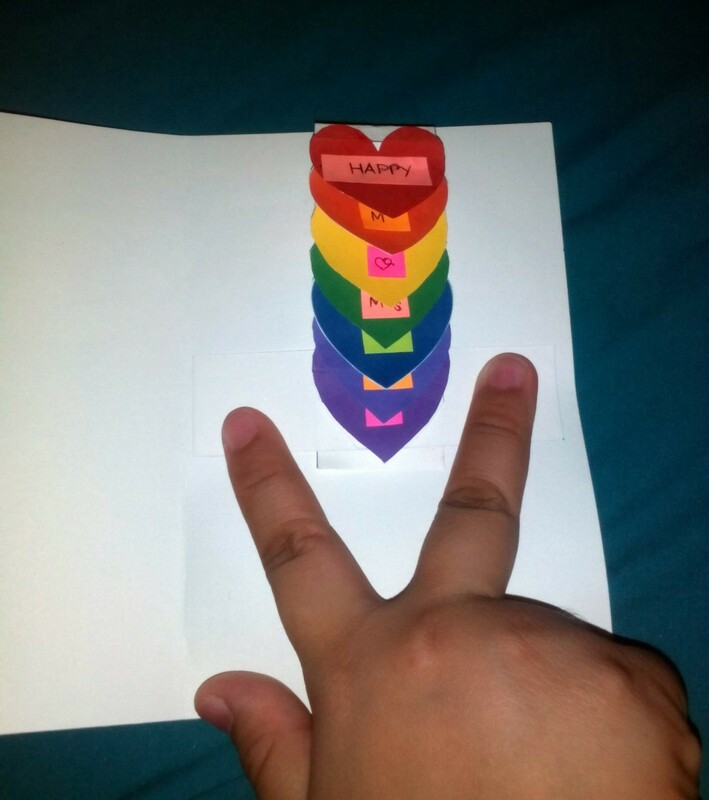 Give your mom this amazingly unique hidden message greeting card. She'll love it.